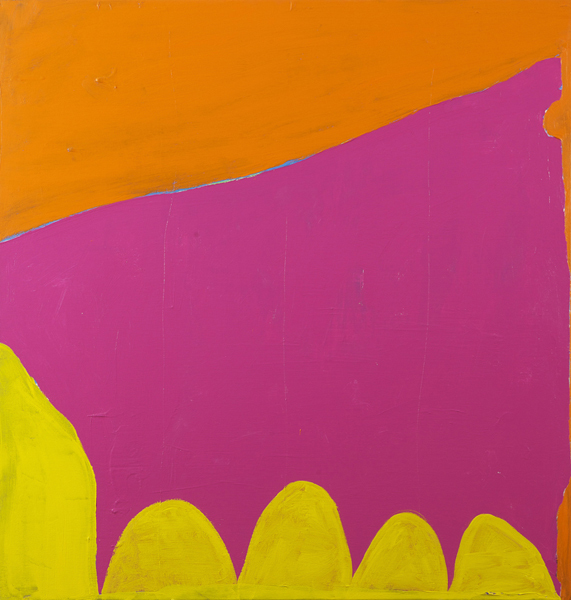 Clocca (magenta form), 2012, acrylic on canvas, 48 x 46 in. Happy to be mentioned in Jed Perl's review included in the August 2, 2012 issue of The New Republic. "I wrote down the names of artists whose work struck me with some poetic spark. . . .What held me in Paul Behnke’s cheeky canvas, with its few shapes in pink, yellow, and orange, was not the dose of zany irony that he brings to geometric abstraction so much as his freshness of attack and his feeling for the power of color to give a medium-sized painting a bold sense of scale."